In the past, there would be many awkward silences when I am asked, "So, you dance flamingo?" Back then this would exasperate me—"Really ? It is called FLA-MENGGGG-CO." But now I meet this with acceptance and yes, some resignation. As graciously as I am able, I will explain that what I do is dance flamenco and not flamingo and no, it had very little to do with the bird other than probably that both share a penchant for rose hues. This confusion or ignorance, if you will, is a stark reminder of how little the Spanish art form is known in the country, despite our long and close historical ties with Spain, the country of its origin and development. Flamenco is different. It is special. It is difficult and challenging and can be frustrating as hell but it is also liberating and fulfilling. 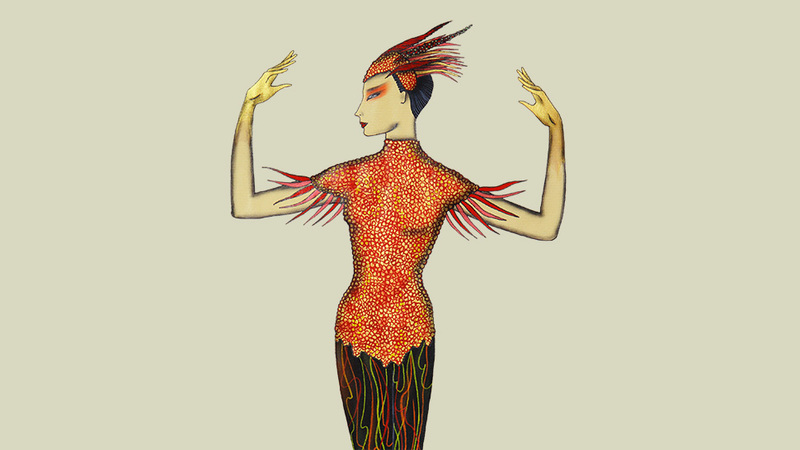 Federico Garcia Lorca has written this of the flamenco dancer or bailaora: “The dancer’s trembling heart must bring everything into harmony, from the tips of her shoes to the flutter of her eyelashes, from the rustle of her dress to the incessant play of her fingers. Shipwrecked in a field of air, she must measure lines, silences, zigzags and rapid curves, with a sixth sense of aroma and geometry, without ever mistaking her terrain. In this she resembles the torero, whose heart must keep to the neck of the bull. Both of them face the same danger—he death; and she, darkness." 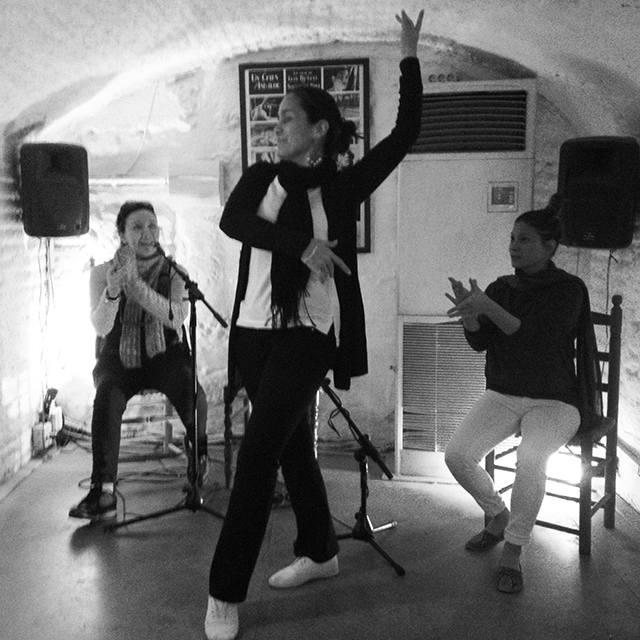 My flamenco journey began as a result of a prosaic circumstance. My gym closed for renovations, I was turning 40, and needed some form of exercise to replace my workout. I thought it would be a temporary diversion until I could return to my gym. As a child, my parents enrolled me (along with my sisters) in different forms of dance. Of course there was Ballet, Jazz, Tap and even Hawaiian. I loved it. But as adulthood and life is wont to do, dance became something to do in parties or maybe simply mixed in workout routines. So there I was one Saturday morning enrolling at the Fundacion Centro Flamenco for my first taste of flamenco classes. That was 12 years ago. 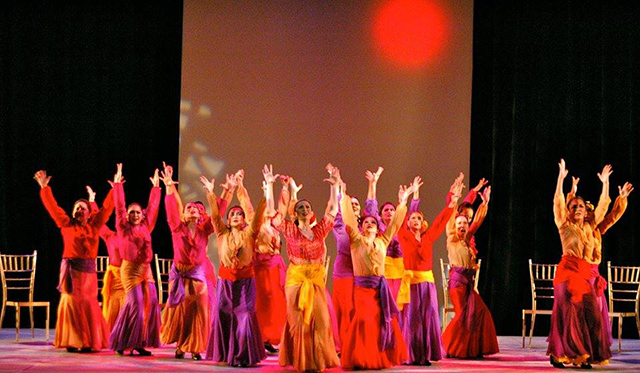 From the time I started my first class, flamenco slowly but steadfastly took over my life. After work and through the weekends, my free time was devoted to class. It insidiously became my life’s passion. My first teacher was Clara Ramona and I would be her student for the next 7 years. A professional dancer, teacher, choreographer, Clara’s own sons are part of a current crop of young professional flamenco dancers highlighting flamenco shows all over the world. When Clara moved her operations to Hong Kong, my dancing was somewhat adrift. For the first time in years I wasn’t dancing full time. After 7 years, maybe it was time for something new. But the call to dance was strong and after a little less than a year, I started taking a few classes with Emma Estrada. But that was not enough, and thankfully Emma graciously opened Centro’s doors and her arms to me as a full time student and soon invited me to join her group of performing students called Grupo Nuevo Flamenco. 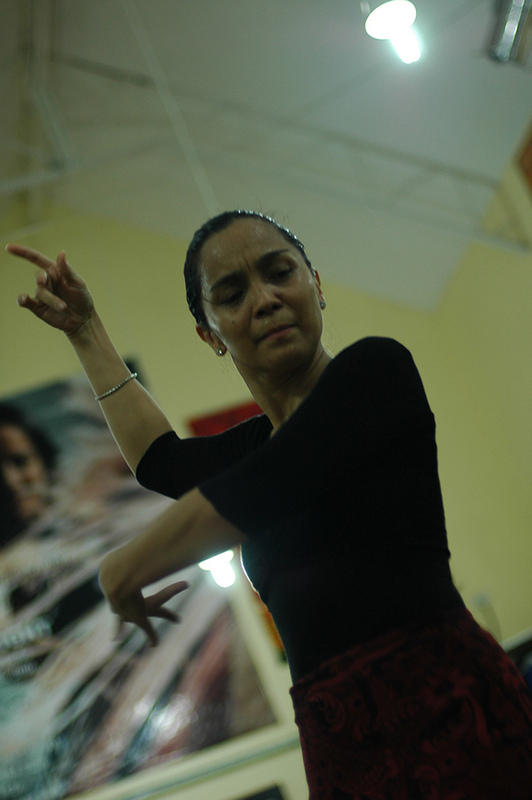 Manila is a flamenco desert with less than a handful of flamenco teachers or schools. Therefore, I can only acknowledge the fact that I am one of a few lucky students who have enjoyed the best of both world in terms of teachers, their styles and methods. Through my two teachers, I learned the value of technique and discipline and the importance of honesty and sentiment in the dance. Not to mention, a variety of styles and approach to the art form. Both Clara and Emma have wonderful stories about their own lives and flamenco journeys and they stand for me as shining examples and proof that flamenco dancers are strong, smart, hardworking and won’t-take-crap-from-anyone kind of women. 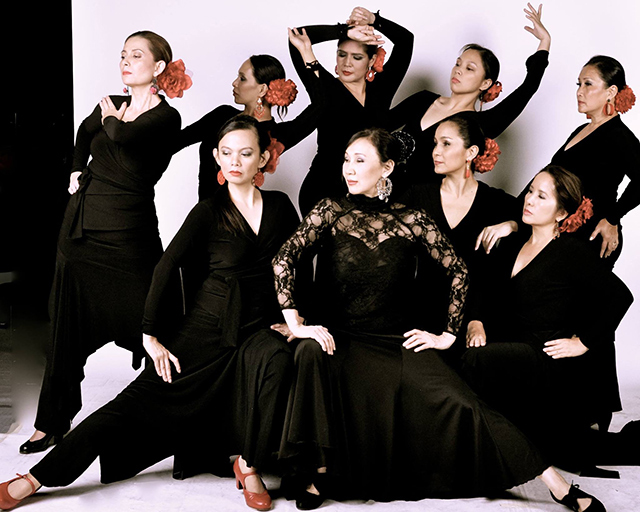 Indeed, the flamenco community in Manila, small as it is, is full of some of the strongest and most amazing crop of women I know. There are quite a number of lawyers, businesswomen and politicians sharing classroom space alongside housewives and students. All are women of character. I often wonder if being women of character has drawn them to flamenco or if dancing flamenco has turned them into women of character. It is easy to be attracted to flamenco. 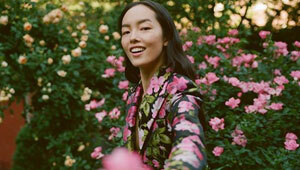 Your first impression would normally be of a handsome macho male dancer and a beautiful graceful woman with pretty flowing skirts, dangling earrings and flowers adorning her hair. The truth is, Flamenco is not for everyone. But when you like it, you are hooked. Simply put, you get it or you don’t. Learning to dance is a long road and an education that never ends. It is countless hours of footwork, arm exercises and mind boggling appreciation of the rhythm or compas that is uniquely flamenco. It is putting your body through the most awkward and ungraceful looking positions and movements, not realizing that the end result is a tapestry of flavor and style that is distinctly beautiful in its strangeness. I have cried in frustration, tears in my eyes as I struggled to hit that correct soniquete (sound)—trying to create the music with my feet and my body. Then the hardest thing yet is learning how to dance with heart. No amount of technique can put meaning to a dance without heart. The core of flamenco is its sentiment, its honest and unadulterated passion often described as a rawness, leaving one vulnerable to the audience. For Filipinas and myself particularly, this was the most difficult lesson and to this day I struggle with it. Searching for that seemingly unreachable ideal, having duende (not the dwarf but, pardon the over simplification, the essence of flamenco) is a constant fumbling in the dark, peering for just that pin prick of light at the end of a tunnel. I oftentimes catch myself wondering why I put myself through all this hardship and embarrassment just to dance. Outside of flamenco, I am a respected professional, a top executive used to managing staff and giving out direction and being fully in control. In the studio I am a slave to dance and it is not a comfortable feeling. But that’s just it. The struggle is endless and very real, which makes getting it right, being able to feel the dance rather than do the dance, worth all the sacrifice. I have once been told that my dance moved someone to tears. Maybe, being a friend, she was flattering me but hearing those words made me realize what all the hardwork was for and that it was worth it. It isn’t always that way. Some performances go terribly wrong. But when it goes right there is no feeling like it. As I look back to those 12 years, or so, of dancing-studying flamenco, I realize that like my teachers, my flamenco journey has enriched my life with experience and adventures I would never have known behind my desk at the office or even working out at the gym. I was an extra in an Indie movie set in a flamenco dance company, performed in Hong Kong, Malaysia and even Nepal as well as around the country and enjoyed a couple of flamenco “sabbaticals” in Sevilla and Granada. I have made many friends, from amongst my dance classmates and co-dancers, of like-minded women of character. 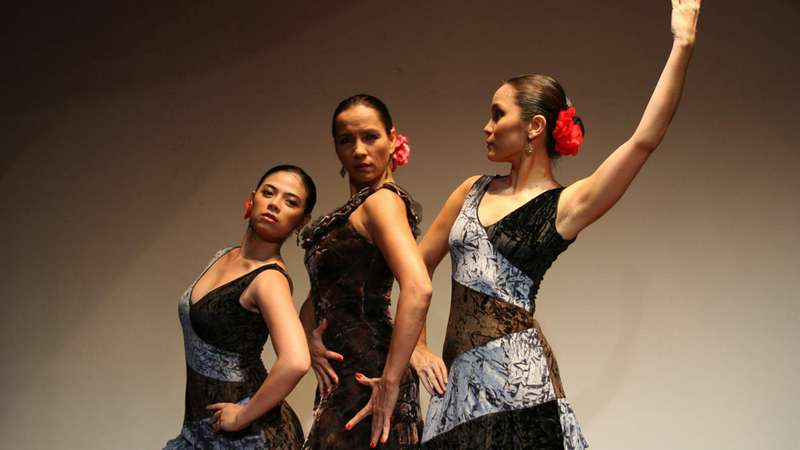 In November, a new first: I, along with my co-dancers from the Centro Flamenco, leave ourselves vulnerable to a new challenge as we stage “La Luna Roja.” Created by Emma Estrada, “La Luna Roja” is the Philippines’ first original full length flamenco ballet. 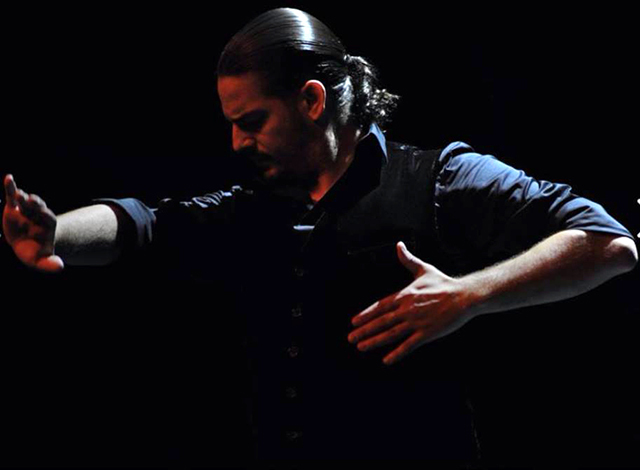 We get to share the stage with professional flamenco artists flying in direct from Spain. Javier Martos brings his elegance and passion in his lead role of Jamil. Sergio Gomez, “El Colorao,” a singer from a long family line of flamenco singers, will provide the distinct song. They are joined by Rubén Campos on guitar and Jose Cortes, “El Indio,”on percussion. Thus, La Luna Roja, brings together all elements of flamenco onto the stage with live flamenco cante (song), toque (guitar), cajón (percussion) and baile (dance). Needless to say, I never did go back to the gym, although I hear it was renovated to be state of the art. I think I should check it out but the studio calls and it is time to rehearse. There are times that I think “La Luna Roja” may be the culmination of all the time and hard work I’ve invested in flamenco. But the years are coming on and I am now in my 50s. Then I see Clara and Emma, my teachers, still involved, still passionate about it and so very much alive and yes, so very young and I think again, maybe not yet…maybe just a few MORE years. You can catch “La Luna Roja” on November 25 (8pm) and 26 (3pm) at the Carlos P. Romulo Theater at the RCBC , Ayala Avenue, Makati. 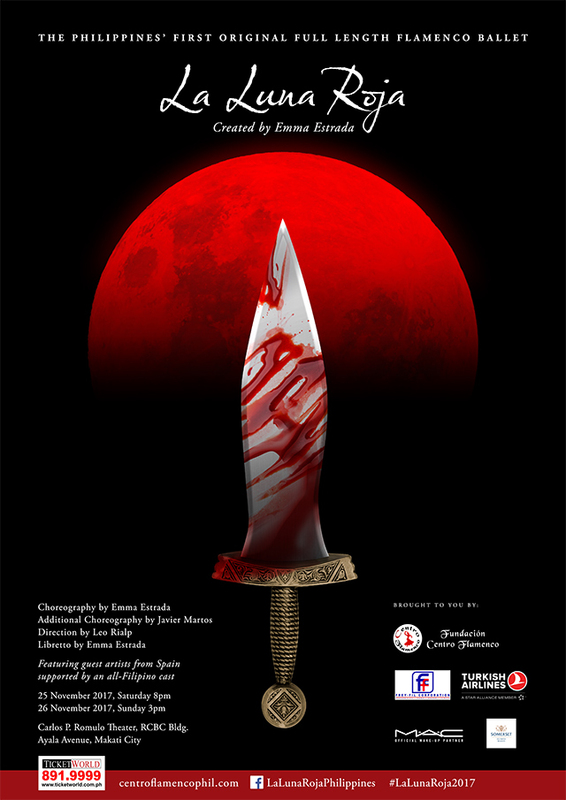 For tickets please call/message: (0917)675-6192 or centroflamencophil.com La Luna is produced by Fundacion Centro Flamenco with partners FreyFil Corp., Mac Cosmetics and Turkish Airlines.